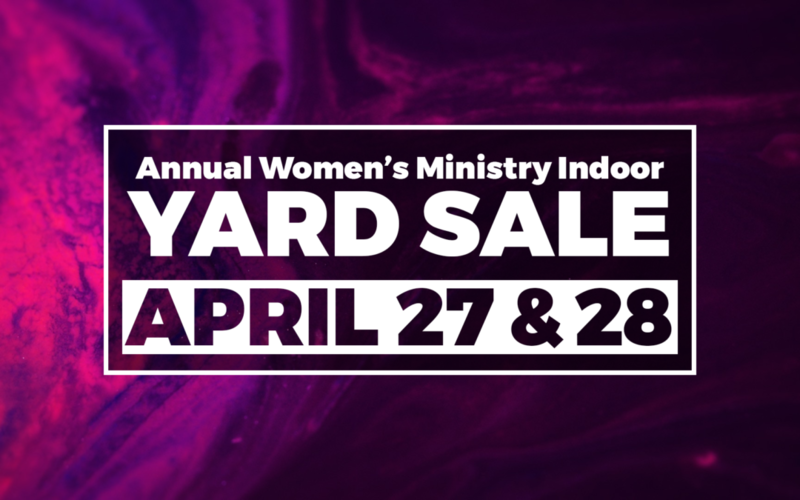 Our annual Women of Purpose Indoor Yard Sale has been postponed until Friday & Saturday, April 27th and 28th from 8:00 am to 2:00 pm. With that change, a few other events scheduled for this week have also changed. Our Family Night ministries WILL BE meeting this Wednesday, April 11th. They WILL NOT meet on Wednesday, April 25th due to the yard sale setup. If you have items you’d like to donate for the yard sale, please do not drop them off until Sunday, April 22nd if possible. Space at the church is limited so we are unable to store items. We thank you for your understanding and cooperation. If you have any questions, please don’t hesitate to leave a comment below or contact the church. As always, to stay up to date with everything happening, we encourage you to follow us on social media @doverassembly.